What happens if there are not sufficient participants to form an orchestra? What is the standard of playing? How can I prepare the music? What is the language used on a Symphonic Holiday? What is the average age of participants on a Symphonic Holiday? Please use the booking form by clicking on the booking button available next to the description for each programme. You can also send an email or write a letter providing the information requested in the booking form. You can write in English, German, French or Italian. We will fill gaps – certain instruments missing – with professional musicians that will join us for the last rehearsals and the concert. This is of course possible only for a limited number of instruments, hence we do reserve the right to cancel a Symphonic Holiday if at any time up to two month before there were insufficient bookings. We do try to confirm a Symphonic Holiday as soon as possible allowing you time to make your travel arrangements. We do not refund travel expenses (for example for flight or train tickets) if you had booked your trip prior to our confirmation of the Symphonic Holiday. We want to maintain a high musical standard for keen amateur players. An advanced level of instrumental proficiency is required. We expect participants to be able to play with clean intonation and with a pleasant tone and to be firm in rhythm. You should have experience in orchestra playing or at least in chamber music. A goal is to match your articulation with the group’s. We are not inclusive at any cost but we are also aware that a certain amount of challenge drives development. We will provide the orchestral parts in due time before the holiday allowing you the time to prepare the music. This is essential for a successful and enjoyable Symphonic Holiday and we think that every musician should, in this respect, be aware of their responsibility towards the whole orchestra. The coaches will work with you on specific technical difficulties during the section rehearsals, but these precious hours should not be spent with sight reading of your notes. The language used during rehearsals and for practical information will basically be English, but we do encourage people to make use of all possible languages dependent on the various situations. However while rehearsing and practicing our instruments, we know as musicians, we will express ourselves in the one language that we all have naturally in common. Players of any age are welcomed. The age range varies from students up to amateur musicians that already look back on decades of experience with their instrument. It happens only in very rare cases that players younger than 18 join us, and in which case they travel at their own responsibility. 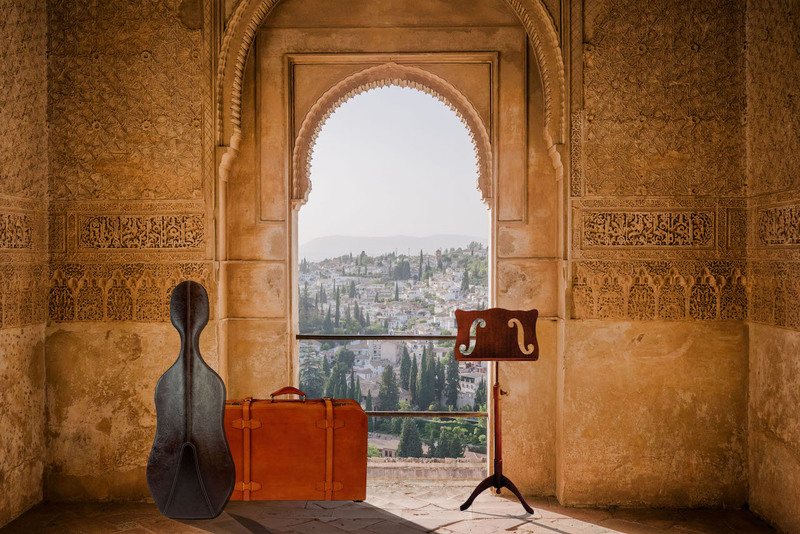 With da capo orchestra & travel you will have the opportunity to play at an advanced level in an amateur orchestra while enjoying your holiday in relaxing and inviting places in Southern Europe. We combine the comforts of Mediterranean life with our essential mission: to bring together people who share a passion for music. Our daily rehearsals culminate in a concert performance at the end of the vacation. We want to maintain a high musical standard for keen amateur players. An advanced level of instrumental proficiency and experience in orchestra playing is required. But we are also aware that some amount of challenge drives development. The orchestral parts will be made available to you in advance to familiarize yourself with them. We want you to enjoy the music! If you have doubts whether a project is suitable for you, then please do not hesitate to contact us. We will help you find the project that gives you the most satisfaction. The projects will be multilingual with participants and team members coming from different countries. A basic command of English is recommended.